The women’s national team has won six of nine world titles since that landmark 1979 tournament. 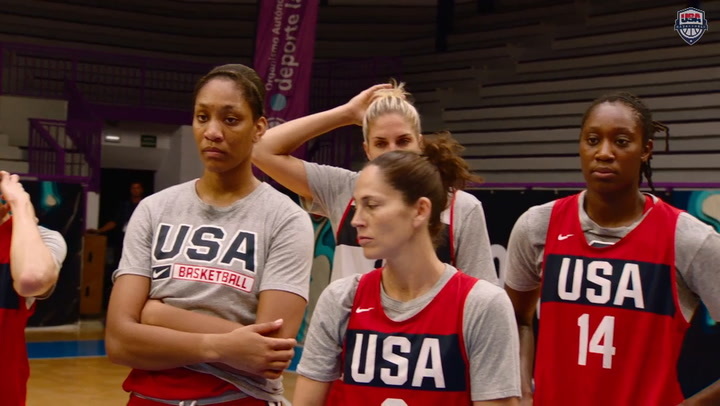 The USA Basketball Women’s National Team has become the standard-bearer in international women’s basketball over the past three decades, winning eight of the past nine Olympic gold medals in the sport and six consecutive. The foundation for all that success might have been set in the late 1970s by a group of young women who were just getting used to the idea of earning college scholarships in for basketball and making a real future for themselves on the hardwood. They were led by a feisty, determined young coach who had been a player on the national team earlier in the decade. Pat Head, who later became Pat Summitt, began to develop her legendary resume and sideline scowl, directing a group of players not much younger than she was. Selected for the 1979 USA team were 12 of women’s basketball’s best players - Carol Blazejowski (Montclair State College); Barbara Brown (Stephen F. Austin State); Denise Curry (UCLA); Tara Heiss (Maryland); Kris Kirchner (Maryland); Nancy Lieberman (Old Dominion); Ann Meyers (UCLA); Jill Rankin (Wayland Baptist College); Jackie Swaim (Texas); Jan Trombly (Old Dominion); Rosie Walker (Stephen F. Austin State); and Holly Warlick (Tennessee). The U.S. went into the 1979 FIBA World Championship (now World Cup) in Seoul, South Korea, having not spent a lot of time on the court together. It was the only team in the field that had advanced directly to the championship bracket without playing in the preliminary rounds. The Americans were upset by host South Korea 94-82 in the opening game in front of 20,000 fans cheering for the home team. It was Summitt’s first game as coach, and she was still searching for the right mix on the court. Meyers Drysdale (Ann Meyers at the time) had played with Summitt at the 1975 World Championship along with Lieberman. Meyers Drsydale was the oldest player on the 1979 team at 24. She was team captain, and she and Summitt were still trying to make sense of their new player-coach relationship. Every woman on the national team for USA Basketball in 1979 had their sights set on being a part of the Olympic team the following year. They had no idea the U.S. would end up boycotting the 1980 Summer Games in the Soviet Union, but the boycotts already had begun with the USSR and five other Eastern European countries not participating in the ’79 World Championship. At the time, the Soviet Union was the powerhouse in women’s basketball, having won five consecutive world titles. It was unfortunate not to have those teams in the mix, but it also represented a huge opportunity for the Americans, and they took advantage of it. Following the loss to South Korea, the U.S. squeaked by an underrated team from Italy before dispatching Japan, Australia and France with relative ease. That set up a final game against undefeated Canada in which the Americans needed to win by at least 13 points to claim the gold medal. 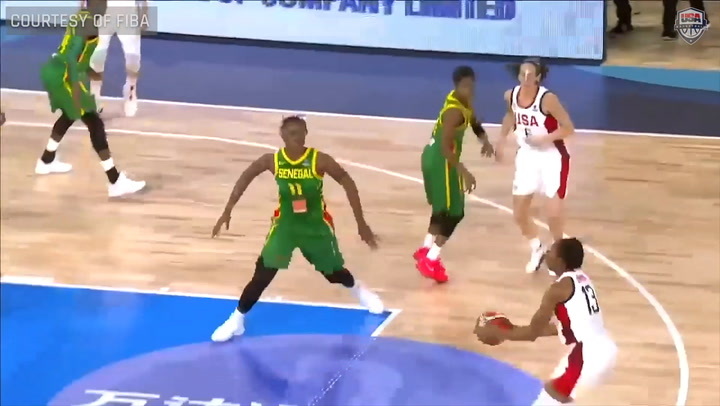 The U.S. pulled it off, winning 77-61 to earn its first world championship since 1957. Blazejowski led the Americans with 25 points and was the only member of the team to average double figures in scoring in the tournament. She was named Best Forward. 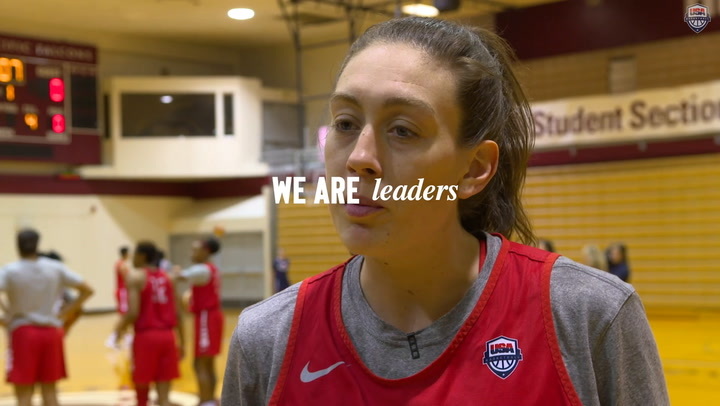 Four decades later, members of the 1979 USA World Championship team can see connections from their accomplishments to the current dominance from U.S. women. “We were making great gains then,” Schneider said. “We were really coming along, but the fact that the Eastern European countries weren’t at the World Championship, and then in 1980 we weren’t at the Olympics, it’s almost like a lost window of statistics and progression because we weren’t competing against each other. Meyers Drysdale said while she takes pride in playing her part in the history of building the national team, she said the playing field truly wasn't leveled until the 1990s when professional players were allowed in the games. It gave USA Basketball a big lift in terms of the average age and experience level of the team members. Looking back on their world title all these years later, it doesn’t bother members of the 1979 team that the Soviet Union and other boycotting teams weren’t there. “Not whatsoever,” Meyers Drysdale said. And why should it? The U.S played the schedule it was given and came out as world champions.